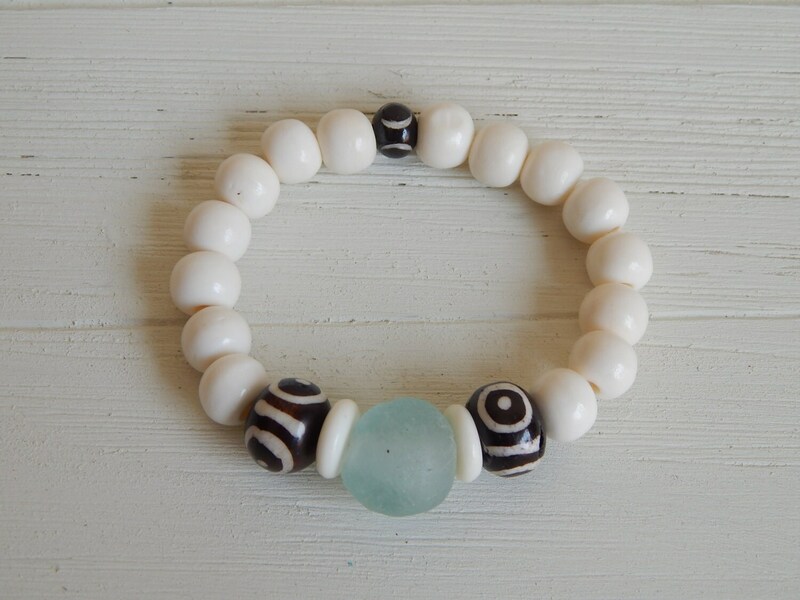 A white bone bead bracelet with aqua blue recycled glass accented with black and white bone beads. 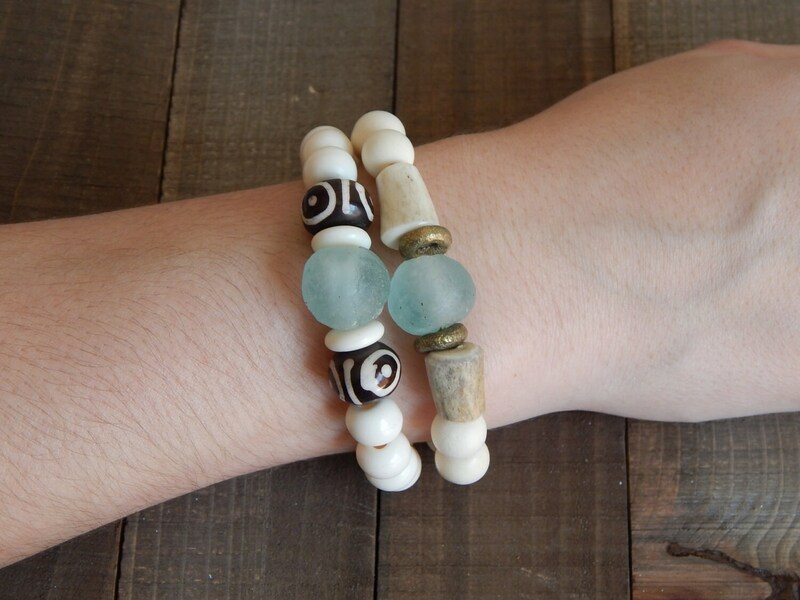 Its light weight and easy to wear and the neutral colors will go with anything. 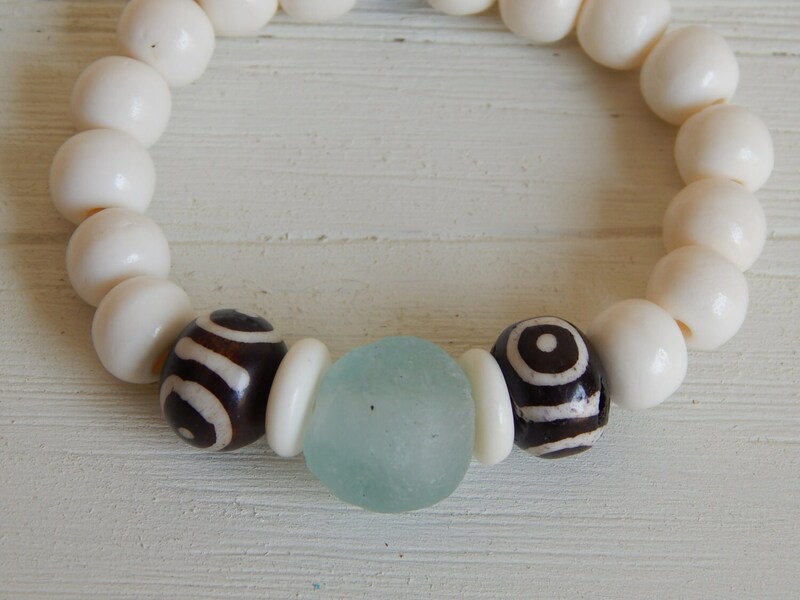 Perfect bracelet for the summer. 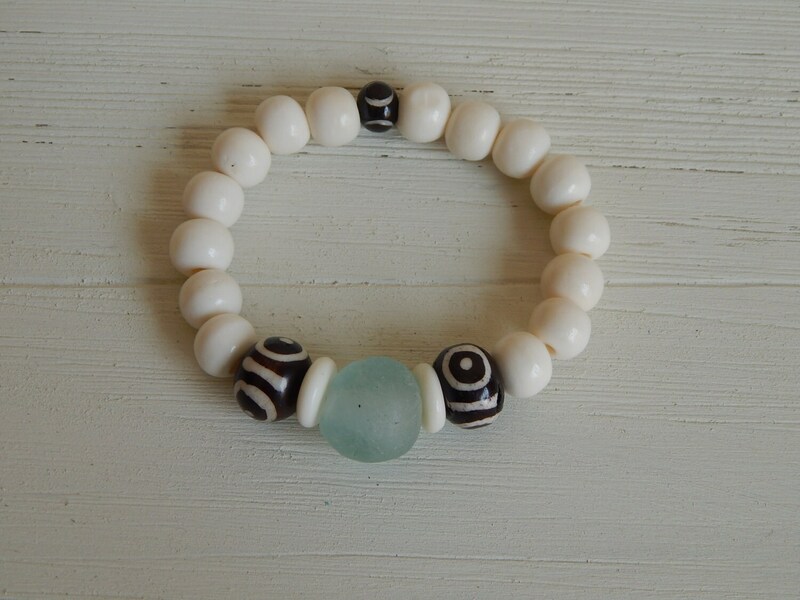 ***Listing is for the white bone and recycled glass bracelet only. 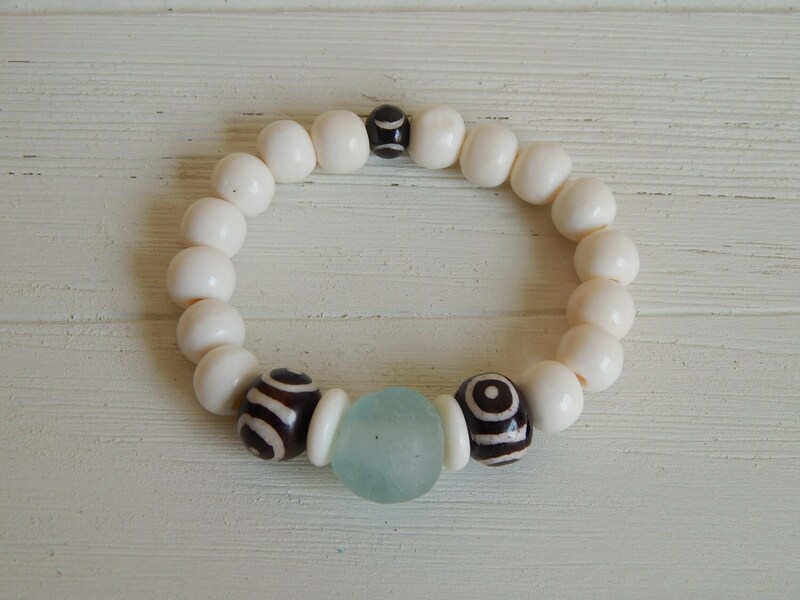 Beads range in size from 10mm to 14mm.